Address: 152020 Yaroslavskaya obl., Pereslavl-Zalessky, Sovietskaya st., 41. 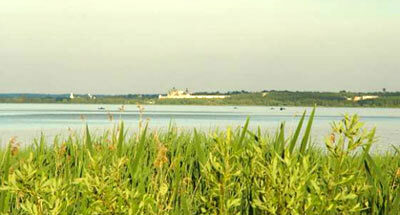 Natural-historical National Park Pereslavsky is situated in the Pereslavsky District of Yaroslavskaya Region. The Park was founded in 1988. Its area is 22,9 thousand ha. 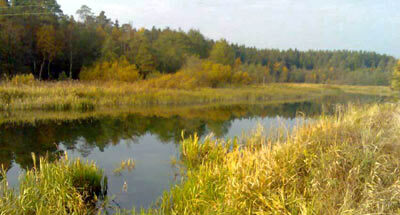 It comprises lake Plescheevo and a part of its basin with forest and wetland systems. The relief is a water-glacier valley with absolute heights of 140-160 m above the sea level, which joins in the south with the hilly spurs of the Klinsko-Dmitrovskaya mountain ridge. Lake Plescheevo (area is 5080 ha, length 9,6 km, width 6,7 km, maximum depth up to 25 m) has a glacial origin. 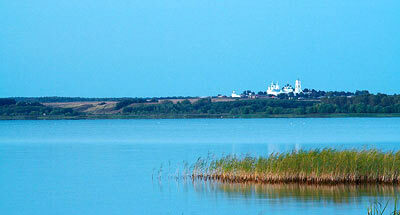 19 rivers and streams flow into it, including the river Trubezh, on the mouth of which the town Pereslavl-Zalessky is situated; one river goes out — the Veksa. The Park is located in the subzone of coniferous-broad-leaved forests. Forests are much disturbed by felling and are being replaced with derivative birch and aspen forests. Sites of primary woods with lime or oak have remained only fragmentary. On the west and north-west are met bilberry and stub-wort pine forests. 710 vascular plant species are noted. Of rare species, in the Red Data Book of the Russian Federation, one can find monkshood, yellow lady's slipper, Epipogium aphyllum, Isoetes lacustris, Isoetes setacea, orchis. 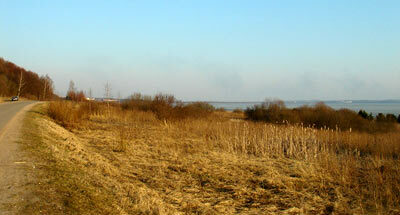 Habitat for 29 plant species protected in Yaroslavskaya Region is found here. Of big mammals in the Park there are harts, sika deer, roe, wild boar, brown bear, otter, least weasel, badger, and fox. In the lake basin 180 bird species nest and 30 species can be met during their migration. Gray heron, crake, ducks, surfbirds, Accipiter gentilis, sparrow hawk, duck hawk, etc. are common. Of rare birds there are noted the black stork, fish hawk, white-tailed eagle, and peregrine falcon. In the lake burbot, pickerel, darter and roach live; and also an endemic fish – Pereyaslavl’s shallow-water cisco. Rare insects are met: the apollo butterfly. The Park includes historical and cultural monuments of Pereslavl-Zalessky city, the most famous of them being the Spaso-Preobrazhensky cathedral (XII century), the church of Peter the Metropolitan (XVI), Vladimirsky cathedral and church of Alexander Hevsky (XVIII), and monasteries — Goritsky (XVII-XVIII), Danilovo-Troitsky (XVI-XVIII), Nikitsky (XVI-XIX). Lake Plescheevo is also a historical monument, because here in the end of the XVI century Peter the Great built his "toy" fleet. Its remainders are preserved in Peter the Great's museum-house "Botik".